Standard and Poor finds on the West Coast of Canada, an unexpected jewel; a government which on a rolling 3-year basis, quantifies what it intends to do, tries to do it, and explains clearly when they do not without obfuscation or delay. Unusual. In balancing its books, British Columbia is the only provincial, state or federal jurisdiction in North America — that I can find — which has been able to accomplish such a sustained feat of discipline and thrift. But there is also the issue of why people should care whether budgets are balanced or not. One measure of fiscal rectitude is the gap between income and spending over an extended period of time. For example, if a government collects $100 billion but spends $120 billion, we might say they have a 20% gap. Gaps matter. For eye-popping examples of extreme government spending gaps, look no further than Illinois, Nevada, or New Jersey, who stand at the top of the list with gaps ranging from 37% to 45%. Illinois takes in 55 cents and spends a dollar. Canadian provinces have gaps too, although more modest. Newfoundland and Labrador is the worst with a revenue versus spending gap in the 22% range, as measured by the Economics Department of The Royal Bank of Canada in a January 2017 report. It is more surprising to find stable, conservative, and always prudent Ontario showing an average gap of 6.5% over the past five years. So what? What difference does having a gap really make? Some believe that if you run out of money, you can always put the gap on your credit card. Or if you are a government, simply call up your friendly underwriter and sell some bonds. Washington DC has been printing money at a gallop for years, and seems to get away with it – so far. Furthermore, if voters become nervous about your fiscal rectitude, politicians can always pass a law outlawing deficits. We had such a law in BC! In the USA almost all states have balanced budget laws and fulfill them; the way they do this is, if they find spending is running ahead of revenue, they simply borrow to make up the difference – which is allowed. So much for fiscal rectitude. But Illinois is a cautionary tale. This state, with the biggest spending-revenue gap, is required to pass a “balanced budget every single year” under Article VIII, Section 2 of the 1970 State Constitution. But to quote one financial journalist, Illinois is “beyond broke!” Vendors of goods and services to the state must wait two years to be paid, and one projection suggests that waiting time will soon extend to four years. Illinois bonds are only one rating notch above “junk” status. The governor recently proposed halting salary payments to all state employees, but the legislature for some reason wobbled on that one. In Canada, consider Ontario, scarcely a few kilometres across the Lake from Illinois. Ontario’s debt per capita encumbers each of its citizen with debt of $22,738, $400 more than the debt burden of free-spending Quebec, and $5,000 more than the debt burden imposed by the Government of Canada on us all. We hear the Ontario government claim that it is “investing” in its citizens– now that’s a useful rationale. There is a problem with the rationale. The problem is that program spending – which means at the provincial government level, spending in particular on the dominant items of health care and education — is lower in Ontario than in British Columbia, however you measure it. Measured as a percentage of GDP we have 18.6% of GDP taken up by provincial government spending for BC compared with only 15.9% for Ontario. Measured in dollar terms, program spending is $9,600 per person for BC and only $8,900 for them. So if Ontario’s explanation of its quite startling debt and deficit performance is their greater appetite for spending on programs such as health care and education – investments in their citizens as they would describe it — the numbers don’t back them up. They spend less than we do, not more, than we do. Ontario runs big deficits and invests less in its citizens than British Columbia does. So to sum up, why are debt and deficits important? It’s not hard to figure out that borrowing to spend on government programs now can be bad news for program spending down the road. BC wins because we spend money on programs such as health care and education rather than on interest payments to bond holders. Simple as that. Ontario and Illinois please note. 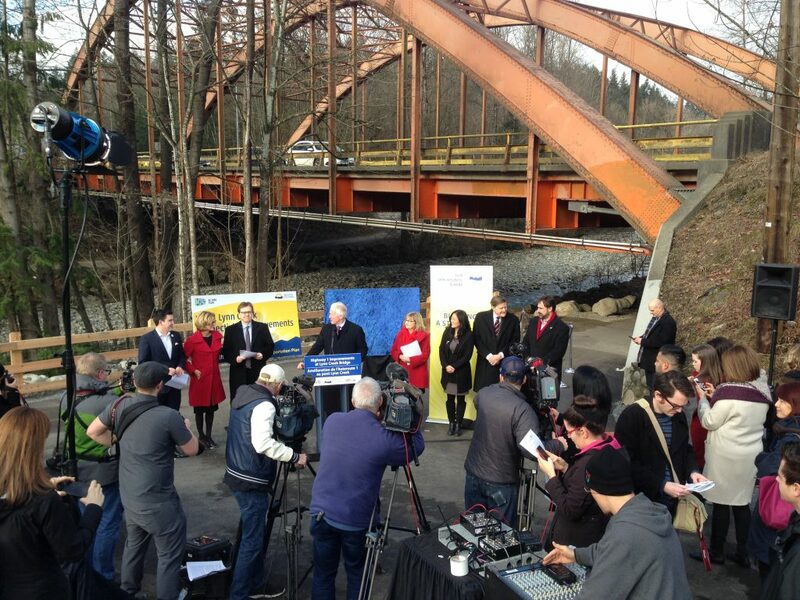 Governments (municipal, provincial and federal) are announcing much-needed major infrastructure projects for the North Shore –$405 in joint-funding for Lions Gate Secondary Waste Water Treatment Plant, and $200 Million to relieve congestion through the Lower Lynn interchanges. Shovels will be in the ground shortly. The largest is the much-planned and deliberated Lions Gate Secondary Wastewater Treatment Plant. Those drivers zipping downtown over the Lions Gate Bridge seldom realize they are passing over a major waste-disposal facility at the mouth of the Capilano River. This fine civic installation is a 1960’s era primary treatment plant receiving all of that unmentionable stuff we on the North Shore flush down our toilets. While unmentionables seldom wash up on Ambleside Beach, the mere possibility that they might does not enhance West Vancouver’s environmental reputation or the attractiveness of high-end beach front condominiums. Eight years ago, federal regulations were amended, requiring the facility to be upgraded from primary (dealing with stuff which settles to the bottom) to secondary treatment (dealing with stuff which doesn’t). That somewhat fine distinction will cost the taxpayers of Metro Vancouver, B.C., and Canada, about three quarters of a billion dollars to achieve. Where to locate the upgraded facility? On the seashore facing Stanley Park, where the existing facility is located? Not likely. Shoreline real estate values have soared into the stratosphere, and one must acknowledge the real estate development plans and ambitions of the Squamish Nation. 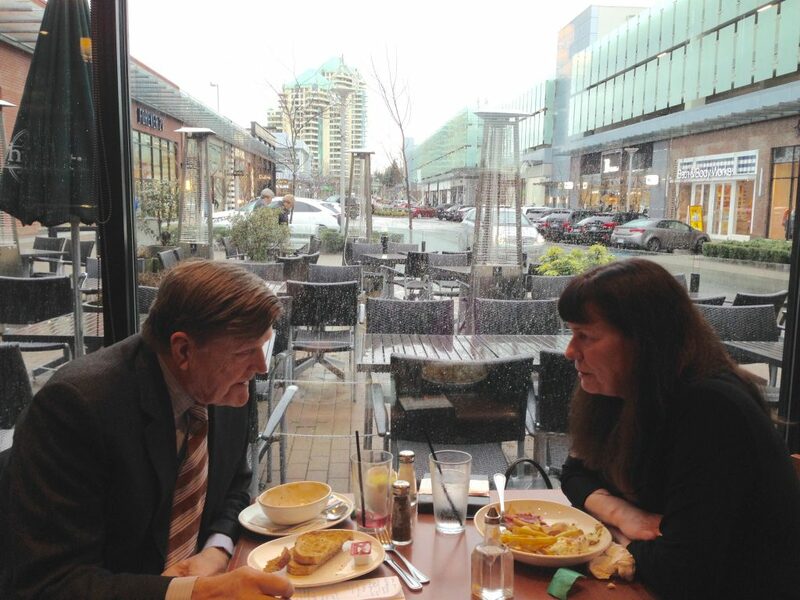 Mayor Richard Walton and Council of North Vancouver District to the rescue. They secured a 3.5-hectare swath lands between Pemberton and Phillips Avenue, just south of 2nd Avenue. AECOM and CH2M Hill made up the engineering team, while architects Miller Hull hired sub-consultants to perform the essential sustainability, landscaping, community planning, environmental, noise and acoustic controls, and public art programming. Construction was to begin in 2014 and the Feds set a 2020 deadline for completion. The $700 million project is now proceeding at full speed, with funding in place from Metro Vancouver taxpayers, and $193 million from the Province of British Columbia, and $212.3 million from the Government of Canada. Final design-build-finance proposals are now being adjudicated by Metro engineers from two competing engineering consortia. Highway 1 (the Trans-Canada Highway) has become an effective traffic barrier down the middle of North Vancouver District, so that persons living in the Mt. Seymour area find it difficult to travel west into the most westerly portion of the North Shore at certain hours, and those wishing to travel easterly are similarly impeded – even if getting onto the Trans-Canada Highway is their last wish in the world. The interchange system stretching from the bottom of “The Cut” all the way to the Ironworkers Bridge, is a mess of hard-to-navigate on-ramps and off-ramps, forcing cars to weave in and out dangerously. The general Lower Lynn blockage which develops at all hours, is now impacting the flow of traffic right across the North Shore and beyond: BC Ferry traffic, commuters from Squamish, persons from West Vancouver trying to avoid the traffic challenges of the Lions Gate Bridge and beyond, travelers following alternate route signage to get to YVR, and the list goes on. Garmin and Google will often direct you across the Ironworkers Bridge even though the Lions Gate Bridge is closer. We are all impacted. As the BC Ministry of Transportation traffic engineers puzzled over what to do they had to come to grips with the fact that much of the traffic is not “through traffic” (that is, Trans-Canada Highway traffic) at all; it is essentially Municipal Traffic. In response to that responsibility shedding observation, the municipal traffic engineers retorted that they did not ask for this blockade to be built in the first place, and they were certainly not responsible for solving it. And then we have the Feds – who have some sort of obligation to link one end of this country to the other, via this self-same Trans-Canada Highway, and help to build it. Your MLAs attended many meetings, listened to many speeches, and made more than a few of our own. The good news is the Feds, the Province, and the District of North Vancouver, agreed to pool their money (total bill around $200 million), come up with a traffic solution, and work together to get the project done. That is exactly what all of these players are about to achieve. Harmoniously. Well done! A frustrating North Shore traffic mess impacting all of us will be moderated. It will not, however, increase the capacity of the next choke point, the Ironworkers Bridge, but that is another story for another day. Get used to it, world. Most of us, sooner or later, will need respite. And more frequently, respite from the need to look after a loved one, friend, or neighbour. It is an inevitable by-product of our aging society. I represent a political riding which has roughly 6,000 persons age 75 or older – perhaps one-tenth of them 90 years or older. Of these, almost 60 per cent are women. They need help in varying degrees. Some carry on as always, driving to the shopping centre and walking on the seawall every day. Count them as almost fully autonomous. Further along the spectrum, some need help to get going in the morning and when going to bed (“assisted living”). And then there are those — such as my dear brother for example – who suffer with dementia and who will wander off into the wilderness if left untended. Well, not quite on their own, to be exact. They are invariably being supported by relatives, loved ones, friends, neighbours, parishioners, volunteers, members of the same ethnic community, or a network of unpaid care providers in the community. CIHI confirms the vast majority (93%) of seniors over 65 live in private households. About 20% of those at home receive some kind of formal support. However for most, support — when needed — comes from unpaid family members, friends and neighbours. CIHI reports that as the amount of time informal caregivers spend providing support increases, so too does their distress. Persons who spend a lot of time looking after somebody else, cannot do so without respite from time to time. They need free time unencumbered by 24-7 obligations. They need a break. Let’s stand back and look at the big picture. For society to cope with the cost of rapidly aging demographics, it is obvious that having most seniors live at home will be the most economical solution. This economic conclusion fortuitously matches what most seniors earnestly desire. The dovetailing of economics and personal preference forms the basis of what government labelled – at least in the brief spell I was a Minister – the “Better at Home” strategy. Let’s try to keep everybody living at home as long as possible. We will be more successful in implementing the “Better at Home” approach, if from time to time informal caregivers are given a break. Respite means they can leave those they are caring for, someplace where they will be looked after, temporarily. What we can call a respite facility. A respite facility might look after a particular individual only 4 weeks a year. 24 hour respite care costs about the same as long term care. But over a full year, if respite applies only 10% of the year, with the individual, relatives or friends picking up the other 90%, then in the long run, respite care would cost the health system only 10% of long-term care. Adult day care is yet another lowest-cost variation. Once a week perhaps, the caregiver takes the person being looked after – perhaps a spouse – to a place operating on the same model as a children’s’ day care where they engage in activities for several hours under supervision, before being picked up and returned home. This gives the caregiver a break for a few hours. For health authorities, the attraction of a “Better at Home with Respite Care from Time to Time” strategy is quite clear. Supporting caregivers by providing a “break” from 24/7 responsibilities enables them to continue to care for loved ones at home – saving the health care system millions of dollars – and be a better fit with what most aging seniors desire. My friend Dr. Inge Schamborzki, runs one of Vancouver’s most advanced respite facilities not far from Central Park, off Boundary Road in Vancouver. She heads the Health and Home Care Society of BC – which many might identify more vividly by its former name: The Victorian Order of Nurses, British Columbia (VON BC). Some history: In the late 1890s, Canada faced a dangerous shortage of medical services. Lady Aberdeen, wife of Canada’s Governor General, helped found this new society in honour of the reigning monarch, Queen Victoria. One of their first assignments took these intrepid community nurses to the Klondike Gold Rush where health conditions were despicable. Today, community nurses still provide a range of services. As one component of the services the Society delivers, caregivers on appointment admit those being cared for at the Respite Centre the Society operates, to be looked after for two, maybe three, weeks at a time (up to four weeks per year). Sort of an intermediate-term hotel. Then the caregivers can get on with their lives, secure in the knowledge that Inge’s nursing staff and volunteers will look after their friend or loved one. And most importantly, after a short break, the caregivers will once again feel “renewed” and better able to continue to care for their loved one at home. What’s so special about a respite center compared with any other care facility? Just set aside a corner of your long-term care home. Well, it’s not that simple. Staffing ratios and skill levels must be higher than one would normally find in a seniors home, since strangers are being admitted into their midst, many with significant chronic medical problems, and more than a few with dementia. There is constant turnover, and there are always challenges and unknowns. If you have lived in a care home for five years, staff knows a lot about you and what you need — but not so if you just arrived for a temporary stay. The Care BC Board, a non-profit society, committed some years ago to raise the capital funds required to build a respite facility on the North Shore, once an appropriate site had been identified – and operational funds committed. The proposed respite center for the North Shore will have 12 overnight beds and 20 Adult Day Program spaces and provide as many as 350 families with regular access to respite care, reducing the likelihood of caregiver burn out. Helping 350 families look after seniors would make a significant difference on the North Shore. I am working to help this project along. Consultations and planning are on-going. Inge is making progress. CIHI report: Health Care in Canada, 2011: A Focus on Seniors and Aging. Canadian Institute of Health Information. Our North Shore back yard is dominated by three mountains, Cypress and Seymour being provincial parks and the third, Grouse Mountain. Recreational use of all three mountains has shown explosive growth, in all seasons. Cypress and Seymour now attract half million visitors a year – each. Grouse easily exceeds a million annually. Our backyard hosts 3,000,000+ visitors a year, and growing. The attraction is skiing of course; both downhill and cross country, as well as grizzly bears and zip lines, but also snowshoeing, and back country trekking. Year round, people explore the back country. Further and further. I have always regarded the Howe Sound Crest Trail, heading from Cypress Park up the backside of The Lions above Lions Bay, all the way to Furry Creek, as extremely steep terrain by any measure, and a trek I might make some day when my level of fitness recovers from the sloth of the Legislature. But it would be a lonely and dangerous hike. Too late! A North Shore Rescue volunteer told me a couple of days ago that he counted 700 persons on the trail – in one day this January! Despite snow, avalanche risk, high winds, and plunging temperatures, NSR still finds ambitious souls setting out in their running shoes. However, this patrol member was at least encouraged to see one young lady with a back pack, clearly prepared, until she put the pack down and let out her little puppy. He described another adventurer who got off trail, lost his skis, lost one pole, and ended up stuck in chest-high snow in a narrow ravine, calling for rescue. He fortunately had a cell phone to call for help, albeit one of ancient limited-battery-life design. The NSR person said veterans informed him that in the old pre-cell-phone days, they simply went up when the snow melted, to recover the occasional body. Ranger patrols need to be stepped up. Also, Katherine Steig and the Friends of Cypress are quick to point out the park environment must be protected from all this traffic. Environment Minister Mary Polak’s recent announcement of an infusion of $35 million into BC Parks is timely and will be put to good use,Against this backdrop of outdoor – if risky – enthusiasm, it was absolutely wonderful to witness in January the restoration of an icon of mountain life as it used to be in my riding: Hollyburn Lodge. The first ski lodge on what is now called Cypress, was called the Hollyburn Ski Camp. It was built at First Lake in 1926 by three Swedish loggers needing a place to warm up after skiing and to promote the sport. Since the area had recently been logged, left-over timbers and planks from a former sawmill could be found. All other building supplies were backpacked up the hill, which under load took about 2-1/2 hours. An average pack was 85 pounds; George Fanning held the record at 198 pounds. Their lodge was opened to the public on January 16th, 1927. You could store your packs, defrost, and buy soup and sandwiches. For 25 cents they would let you sleep overnight in the loft, on a mattress of spruce bows. Hollyburn Lodge endured a lot of rambunctious, partying skiers. Over the decades, the floor began to sag ominously. About 20 years ago, fearful of imminent collapse under the weight of skiers and gear, a large community of committed enthusiasts was mobilized. The volunteer Hollyburn Heritage Society (HHS) was formed to rebuild it, with Iola Knight as Secretary Treasurer. 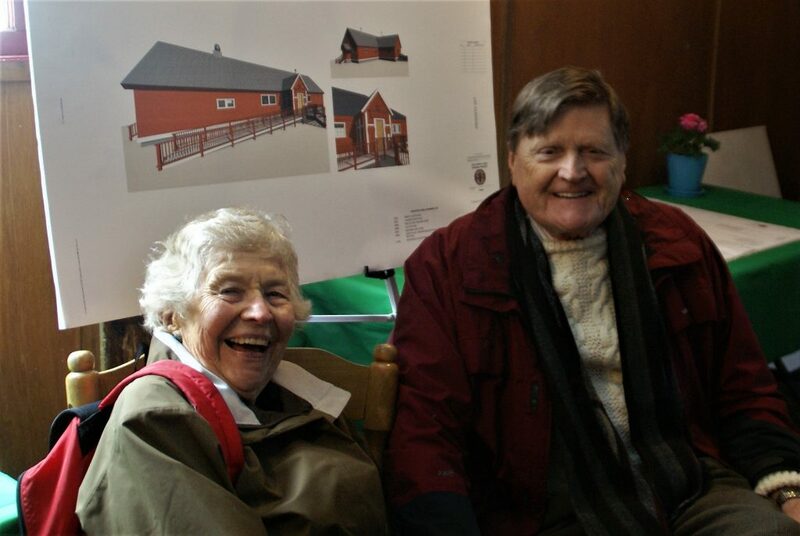 On a recent visit, Iola, now a very sharp 94-year old, explained to me the renovations/rebuild/recreation, turned out to be a bigger job than originally foreseen. The budget grew to $1.1 million. “Mission Accomplished” was declared in January 2017, by an ambitious coalition of cross-country skiers, and outdoor enthusiasts such as Bobby Swain’s Cypress Mountain corporate parent in Seattle, keepers of the West Vancouver municipal purse including Pamela Goldsmith-Jones and Mary Ann Booth, funds from the provincial government’s 2010 Olympic Legacy fund (Cypress having been an Olympic venue), plus HHS, Hollyburn Ridge Association (representing the community of cabin dwellers atop the ridge), and a cool 261 named donors ranging from EMCO Corporation to WVHS Old Boys Network including the Coopers and the Tynans and the Corbetts, all steered in the right direction by fund raising chair Jackie Swanson. This crowd of enthusiasts coalesced to preserve our sporting memories, and gathered cash and inspiration for the restoration of the 1926 Hollyburn Lodge. So, where do you fit into all of this, Ralph? Well, when my sister returned from her mother’s helper job in Sweden only weeks before Hitler invaded Poland, bringing with her a pair of cross country skis, this occasioned great curiosity among the kids in our household. Soon, we borrowed skis, trekked up “the mountain” and tried this sport ourselves. Seven years after the first lodge, a second had been built at West Lake. It was reached by a trail beginning at the top of 15th Street in West Vancouver. I am proud to report that as a young lad, I (sort of) skied there. After a trek involving Vancouver street cars and the West Vancouver ferry to Ambleside from downtown Vancouver, we struggled up the hill carrying skis (with cable harnesses for our rubber boots), lunch, and thermos. And herring-boned up the bare hillside. We were lucky if we got in a dozen short runs before walking back home. First rope tows did not appear until after WWII. I cannot recall anybody skiing out of bounds, since there were no bounds. Times have changed, but the Lodge endures. Congratulations to Iola and the cast of hundreds!